EcoRise Youth Innovations funded over 20 green campus projects across Austin this spring, thanks to the generous support of the The City of Austin’s Office of Sustainability. Over 20 creative projects designed by 5-12th grade students were selected and $8,500 was awarded across 15 public schools across the Austin area. Students first evaluated their classroom or campus and completed an eco-audit in one or more eco theme, such as water, waste, food, etc. Students were then tasked to create innovative solutions to address issues that came to light during the process. Their solution? A vermicompost bin for their school garden. “Having ‘pet’ worms makes sense. They complete the nutrient cycle in our garden. 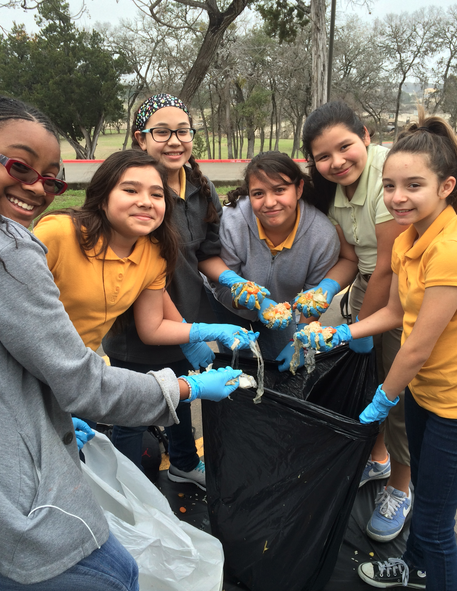 Food to soil and back again– we get to see decomposition and growth seamlessly cycle in our garden,” said Adrianne Kartachak, a Keep Austin Beautiful Environmental Educator at Paredes Middle School. This project and others have been selected to showcase their work at Austin City Hall during EcoRise’s first Citywide Eco-Audit Showcase on June 2. 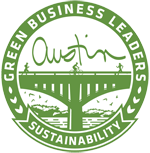 EcoRise will partner with the City of Austin’s Office of Sustainability to fund more Eco-Audit projects in the fall, as well as partner with other organizations to fund projects in new areas!